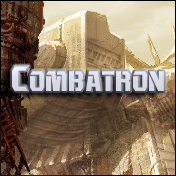 Combatron is a techno-centric, angular, stencil font influenced by Hasbro’s Transformers: Combiner Wars toy line. 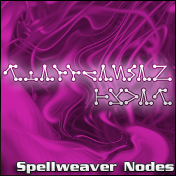 Includes full alphabet, extended character set, and Euro. Also includes bold, italic, and bold-italic weights. This entry was posted in Font Updates on April 28, 2016 by Jaynz. 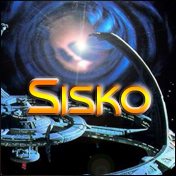 Sisko is an angular science-fiction face based heavily on the title logo from Paramount’s Deep Space Nine series. Includes full alphabet, extended punctuation, euro. Includes regular, bold, italic, and bold-italic weights. This entry was posted in Font Updates on April 19, 2016 by Jaynz. 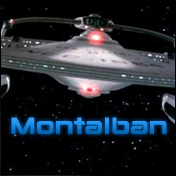 Montalban is a bold display face based heavily on the title and end-credits from the legendary Star Trek II: The Wrath of Khan movie. Includes full alphabet, extended punctuation, euro. Includes bold, italic, and bold-italic, and condensed versions of all of the above. * Reworked kerning and spacing issues. This entry was posted in Font Updates on April 14, 2016 by Jaynz. 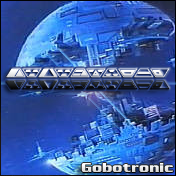 Based on a design from Jim Sorenson, Gobotronic is a symbolic interpretation of the language of Hanna-Barbera’s own take on robots in disguise. Includes full alphabet, designed to be used by alternating lower and upper-case letters. 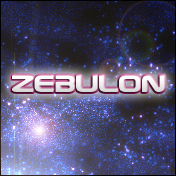 This entry was posted in Font Updates on April 12, 2016 by Jaynz. 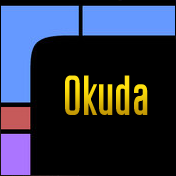 Okuda is a tall and thin typeface based on the computer lettering (the LCARS system) created by Mike Okuda for Star Trek: The Next Generation. Includes full alphabet, extended punctuation, Euro. Includes bold, italic, and bold-italic faces. * Updated with improved kerning and Mac compatibility. This entry was posted in Font Updates on April 7, 2016 by Jaynz. 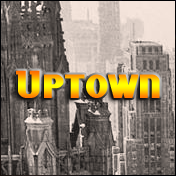 Uptown is a classically-themed title-card face found in marquees and signage from the 1930s and 1940s. This is a bold, heavy face perfect for pulp-period projects. Includes full alphabet, numerics, euro, extended punctuation. Includes regular and italic faces. This entry was posted in Font Updates on April 5, 2016 by Jaynz.